Today we’d like to introduce you to Julia Gomelsky. Thanks for sharing your story with us Julia. So, let’s start at the beginning, and we can move on from there. I began my career in the visual arts in 2000, when I graduated from San Francisco State University with a degree in Industrial Design and started my first job at Yahoo. True to my eclectic nature, I took on a number of creative roles over the ensuing decade, including web designer, illustrator, artist, photographer, doll enthusiast (another story!) 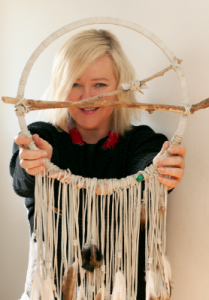 and most recently, a maker of dreamcatchers. In 2013, I took a leap of faith and started my own freelance web and graphic design business. I love designing in any form and am drawn to projects that allow me to use a range of mediums, from photography to Photoshop. In 2016, I took a trip to Ojai with my sister. 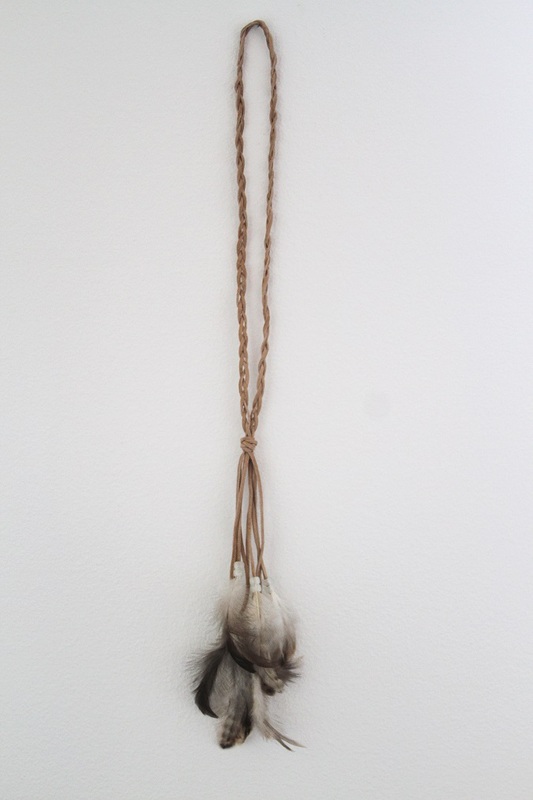 Shortly after coming home, I was inspired to make my first dreamcatcher, and I have continued making them ever since. They’ve evolved over the two years since I started — many are custom made with gemstones picked specifically for the buyer. It’s been a relatively smooth road, though the business is still mostly word of mouth and I’m working on ways to market it beyond friends and friends of friends. 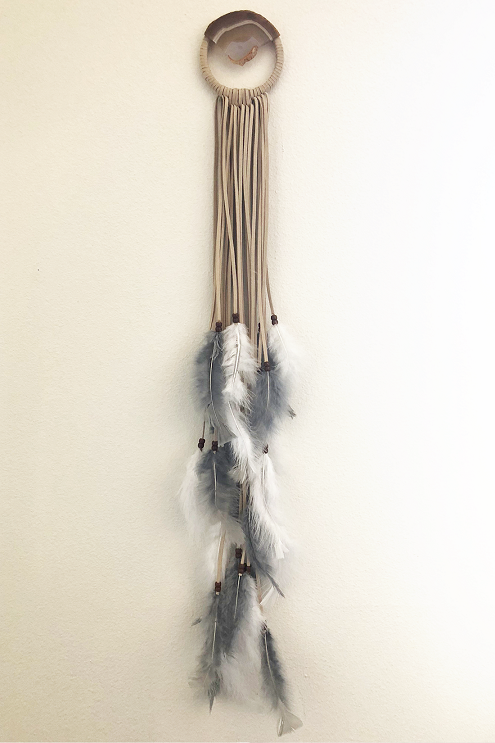 I’m fortunate to have many creative friends, one of whom has a community space, Hunt & Gather, in San Francisco where my dreamcatchers have found a temporary home until Spring 2019. I’ve received a lot of praise for the dreamcatchers. People are fascinated by the gemstones — especially their mystical properties. 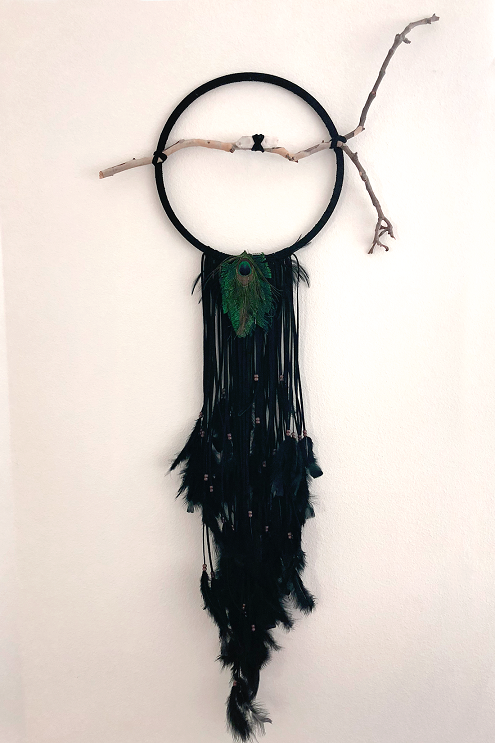 I love hearing from people who’ve bought my dreamcatchers and have positive things to say about the gems’ healing powers. Dream Catch Repeat – what should we know? What do you guys do best? What sets you apart from the competition? 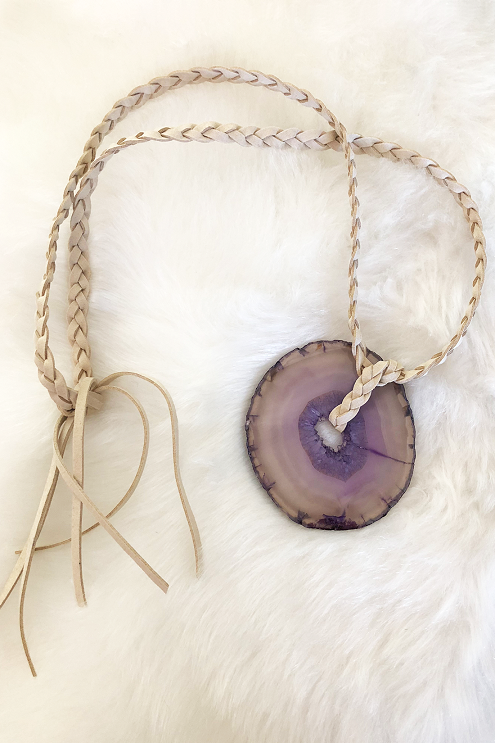 My business is called Dream Catch Repeat — my specialty is making custom dreamcatchers and necklaces by hand. 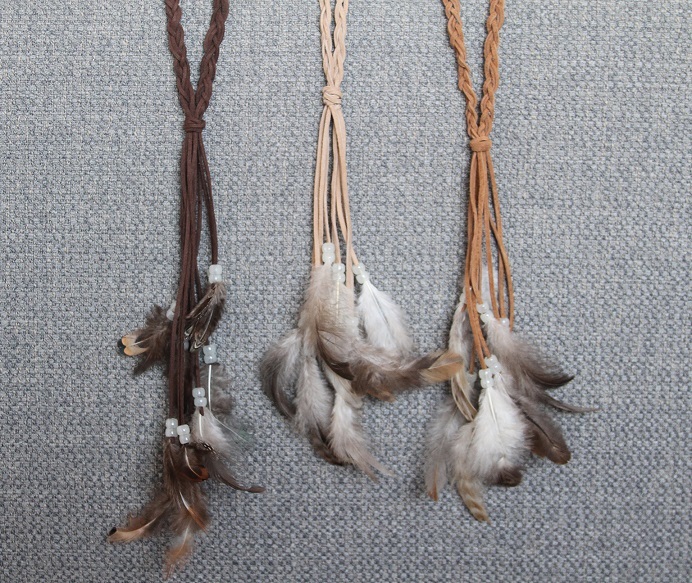 I also sell ready-made dreamcatchers. 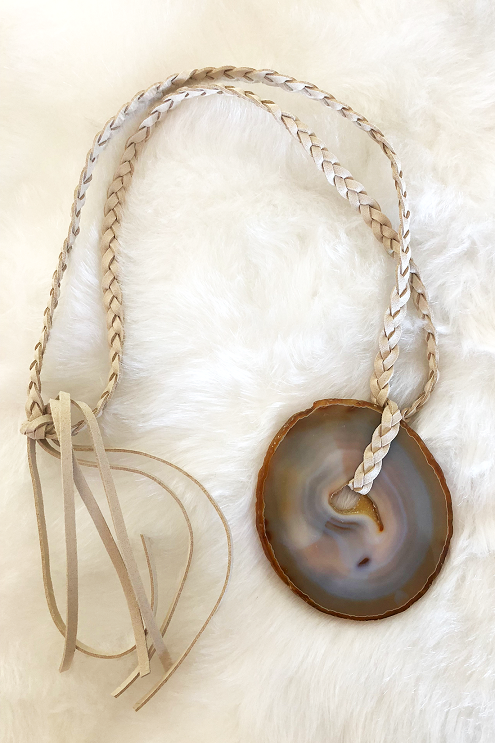 I make them in four sizes (from XS, 4″ to Large, 14″) using materials sourced from craft shops (including feathers, beads, and faux suede cord). I pick out the perfect gemstones on my trips to the annual gem shows in Tucson, Ariz., including amazonite, lapis lazuli, agate, rose quartz, jasper and anything else that catches my eye. I find the wooden sticks locally on hikes through LA’s canyons and parks. At home, I wash and dry them thoroughly before saging them and adding them to the dreamcatchers (though not all dreamcatchers have sticks). Lastly, I set intentions for each piece and sage it again, so it’s ready for its new home. I am most proud of creating pieces as unique as each buyer. People often tell me they’ve never seen anything like my dreamcatchers and that puts a smile on my face. 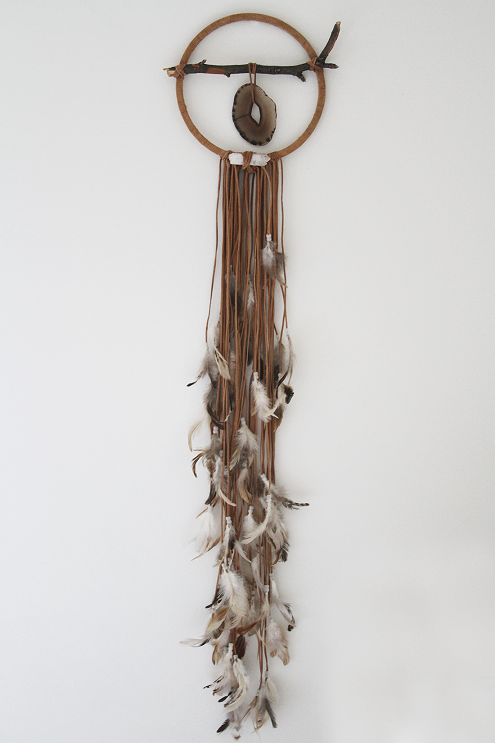 I created a dreamcatcher for a friend who desperately wanted to have a baby but struggled for many years. I researched the best stones to use for fertility, love, health and safe and easy pregnancy and delivery. I also used gemstones associated with her and her husband’s birthstones and set intentions for it. My friend loved it and hung it over her bed and very soon after, she announced she was pregnant. She now has a beautiful, happy, healthy and smiling baby girl. 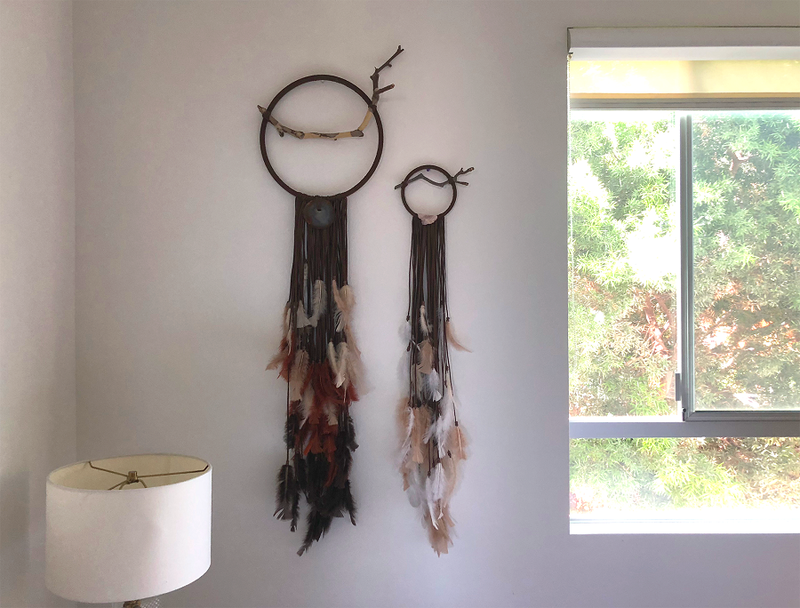 She often tells me that the dreamcatcher I made for her was one of the keys to helping her manifest a healthy child and I like to believe that! Those dreamcatchers are absolutely beautiful!